A restaurant with an intriguing, energetic and surprising wine list is ideal for branching out and exploring new varieties, producers and regions. And there has never been a better time to do so. I’ve never quite understood the trend toward restaurant comfort food. Meat loaf, mac and cheese, tuna casserole—all dishes from our collective childhood, food that is safely familiar. For dining at home, sure. It makes sense from a practical standpoint (busy lives, no time to cook, home budgeting) and on the palate as well: fried chicken and mashed potatoes can be delicious. But when dining out, it’s not for me. I feel the same way about wine. There are times when I want that familiar bottling from a producer I admire, when a Chardonnay or Merlot is exactly what is called for. More often than not, that mood strikes when I’m perusing my own home cellar or am at a dinner party. It’s when I dine out that I want to try something new, unfamiliar. A restaurant with an interesting wine list or an imaginative wine bar are ideal places to branch out and explore. If there are bottlings I’m not acquainted with or by-the-glass selections that are new to me, I’m generally going for it. The comfort factor again: I don’t understand people who reflexively order what they know they will like. I know money is involved, and to each his own, but secretly, I don’t get it. Wine is protean in the variety it offers, and we are fortunate to be living in a time when that variety is so accessible to us. A few clicks of the computer mouse, a stroll down the aisle of a wine shop and a visit to a wine bar or restaurant will unearth some impressive surprises. 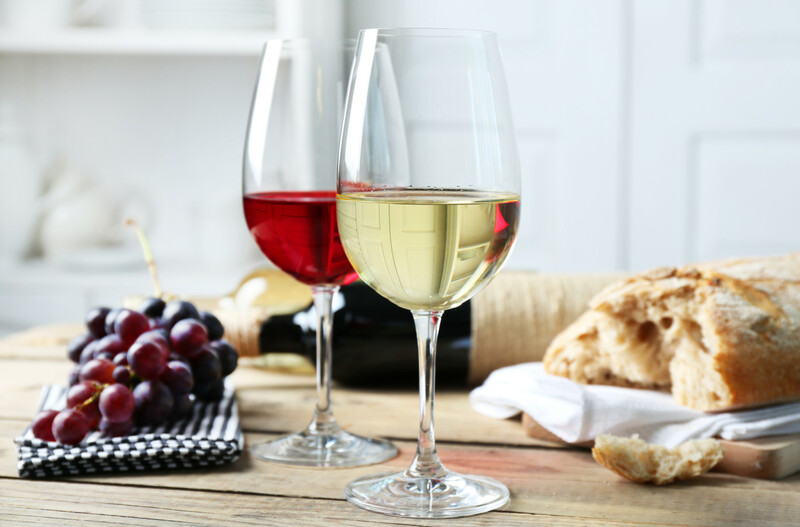 Tannat from Uruguay, Romanian dry Muscat, Bombino Bianco from Apulia, a 100% Pinot Meunier from Napa—there has been an explosion of choice and a dramatic increase in quality in American restaurant wine lists. And now, the silver lining of the bum economy is that pricing of quality wine is extremely attractive. America’s restaurant industry was in a renaissance when the economy nosedived; that served as shock therapy to restaurants. Now they are forced, in a sense, to offer lower prices, a wider variety of wines, special flights and by-the-glass programs. The interests of wine devotees and quality-minded restaurateurs have converged. This is our annual Restaurant Awards issue. Our panel of judges—primarily editors, importers, sommeliers and restaurateurs—evaluated the applications on the basis of overall quality but principally the wine service: the quality, diversity and breadth of the wine list as well as its suitability to the food, the glassware, the education and expertise of staff. Depending on where you live, you’ll find many fine restaurants that deliver great food and adventurous wine programs. In her evaluation of the trends we discovered during the judging (see page 47), Aileen Robbins cites some significant strides toward better pricing and greater variety: a dramatic increase in by-the-glass lists, with known grapes produced in unfamiliar regions or unknown grapes from familiar regions; more low to medium-priced wines; even from the Old World; a significant increase in less well-known regions and grapes; an increase in half bottles and by-the-glass selections; the introduction of tasting flights as a way to expose patrons to unfamiliar wines. And overall: a significant increase in the number of restaurants that offer price reductions on wine in various ways: special pricing nights, buy a bottle of this, get second bottle for less, etc. Still need some encouragement to break out of the box and try something new? In her story on restaurant wine price markups (page 52), Gretchen Roberts makes the point that mark ups on brand-name, widely distributed wines are often much higher because those wines are guaranteed to sell; people tend to buy what they’ve enjoyed before. You can get a better deal on less familiar wines. 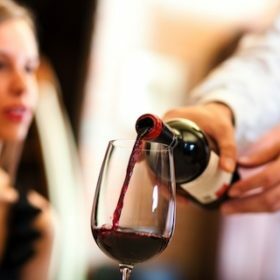 Also: sommeliers often will reduce the mark-up on lesser-known wines they really admire, hoping to introduce more diners to their charms. There’s never been a better time to dine out, and to make rich and exciting wine discoveries. Also in this issue, Michael Schachner reports on Argentinean Malbec (page 56). Clearly, this is Malbec’s moment in the sun—a great success in terms of production, sales and buzz. This deep, dark and delicious red is the perfect accompaniment to meat dishes. Our Pairings article in this issue (page 64) is a bit of a departure: In time for Valentine’s Day, Monica Larner lists foods that have been identified over the centuries with aphrodisiacal qualities. I think you’ll enjoy reading the origin of the myths surrounding each food item, and there are delicious recipes to warm things up, in the kitchen at least. In love, as in the restaurant business and the creation of fine wines, there are no shortcuts. Dine well, and cheers!